That was extremely satisfying. Winning is always satisfying, but doing it against a team that’s had the better of you in a bad way recently is really quite a thrill. Now it’s us who has the lopsided slugfest under our belts. Revenge is a dish best served cold, but I’m pretty sure I’ll take this win any day. Especially if Lackey is the one who got the W in the end. I mean, a win is a win no matter who gets it, but it’s just so nice and so refreshing to see him in vintage form. This is basically what he was like when he was with the Angels. This is the John Lackey we signed. 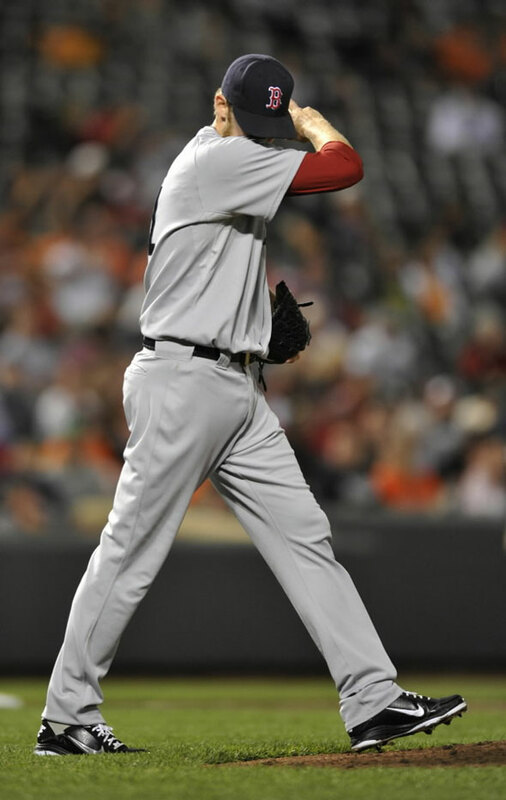 Now, this is the John Lackey we get to see. The fact that we went down in order in first provided considerable false hope for the Tribe, I’m sure. The second, in which Papi walked, Napoli singled, and Carp homered to right on a slider was much more like it. It was awesome. Carp has shown that he can bring the power, and he did yesterday for sure. We went down in order in the next three innings. We had a beautiful opportunity in the sixth; with one out, thanks to a hit batsman and two back-to-back singles, we had the bases loaded. And we had only one run score on Napoli’s force out. But we blew the game open in the seventh, when we went through the lineup in its entirety. Salty doubled to lead it off. Gomes came in for Carp and got hit. Drew struck out, Iglesias singled to load the bases, and Ellsbury singled in two runs. Nava popped out, Ellsbury stole second, and Pedroia’s single cleared the bases for another two runs. And we went down in order in the eighth. Lackey went up against who but Justin Masterson. Obviously Lackey carried the day. But that would have been true no matter who he happened to pitch against yesterday, all else being equal. He mowed right through the Tribe, pitching like it was the easiest thing in the world to just stand there and completely befuddle all the hitters he faced. He had a one-two-three first and second. His only blemish occurred in the third; he gave up two consecutive singles, recorded two consecutive outs, and absorbed the one run’s worth of damage wrought by Salty’s throwing error. It was bad in every conceivable way. Not only was the throw way off target, sending the ball into the outfield, but it came on a double steal attempt. He had a one-two-three fourth and fifth; the only inning during which he did not face the minimum besides the third was the sixth, during which he issued a walk without also inducing a double play. Uehara and Aceves pitched the eighth and ninth, respectively. So the offense was huge, and so was Lackey’s start. He pitched seven innings of one-run ball, and that run wasn’t even earned. He gave up two hits, walked three, and struck out eighth. The final score was a fantastic 8-1. We won yet again! And we did it facing two of our former pitchers: Justin Masterson and Dan Wheeler. Each of them was credited with a half of our run total. It’s always a pleasure to see old friends. It’s also always a pleasure to remind them what a great place to play they left behind, no matter what the reason was for their leaving. Unfortunately, given the way we’ve been playing, it was unclear whether we’d be able to accomplish that; just because we’ve had ourselves a small winning streak doesn’t necessarily mean that we’re at a point where we can win consistently as a team. But we did it, and it was sweet. Bard gave up one run on six hits over six innings. He walked four and struck out two. Despite his decent line, I can’t technically make a general statement that his start was awesome because it was easy to see that his fastball was off. He threw ninety-seven pitches, fifty-eight of which were strikes. He went one-two-three in the first and fifth and faced at most two above the minimum in every other inning he pitched except the third. He allowed his run in the third, when he loaded the bases with one out after giving up two walks and a single; then he walked in a run. Needless to say, it was an ugly and total loss of command and control, and it’s a good thing he found the strike zone again afterwards. By the time Hill came on to replace Bard in the seventh, we had scored six runs and we weren’t even done. It turns out that that would only be half our run total at the end of the game. We didn’t waste any time, either. The first didn’t exactly begin too auspiciously, as Sweeney and Pedroia both grounded out, but then Papi walked, Gonzalez doubled, Middlebrooks singled in Papi, Nava doubled in Gonzalez, Ross got hit, and Salty singled in both Middlebrooks and Nava. That’s six straight plays with two outs before recording the third, and half of those plays brought home runs. And, both literally and figuratively, it was only the beginning. We went down in order in the second, but then Middlebrooks smashed a solo shot on a fastball in, the second pitch of his at-bat, in the third. It got out in a hurry and bounced right off the top of the ledge on the Monster. We scored our sixth run in the sixth; Nava was hit by a pitch to start things off, stole second, and scored on a single by Salty. At that point, we were leading, 6-1. If the game wasn’t out of the Tribe’s reach at that point already, then we definitely blew it wide open in the seventh. We scored six runs in the seventh alone. That’s more runs than we’ve scored in several whole games this year. Pedroia started the push with a double and scored on a single by Papi. Then Gonzalez doubled, and Middlebrooks walked on a wild pitch, which sent Papi home. Nava then doubled in both Gonzalez and Middlebrooks. Ross grounded out, which advanced Nava to third, and he and Salty both scored on a homer by the latter on a slider. The ball landed right on the covered seats in center field. It was straight-up power. And that was it. Albers pitched the eighth, and Atchison pitched the ninth. We won by a score of 12-1 and posted as many hits as runs, more than half of which, seven, were for extra bases. 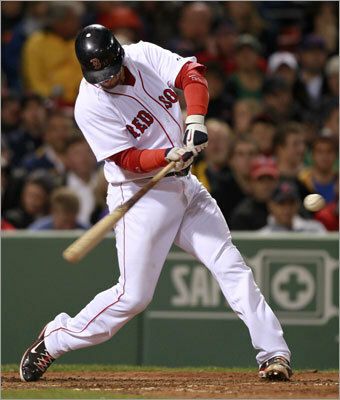 Multi-hit performances were given by Middlebrooks, whose nine extra-base hits in his first ten games is the most in the Major Leagues since 2008, when Chris Dickerson of the Cincinnati Reds hit nine as well; Gonzalez and Nava, whose two hits each were both doubles; and Salty, who went three for four with five RBIs. Add to that the staff’s solid outing, and Cleveland didn’t stand a chance. Wow, that is great to say. From the outset, this matchup was thick with irony. You have Erik Bedard, the new acquisition, going up against Justin Masterson, the old trade. 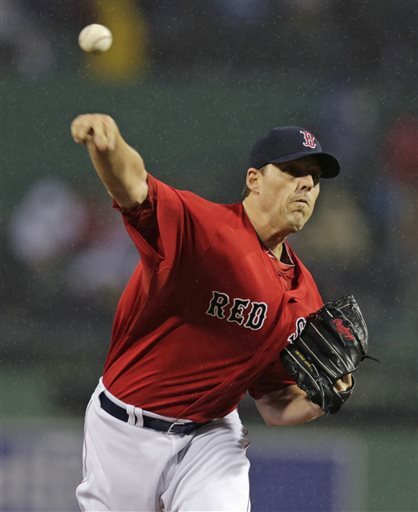 A lot has been said about whether Bedard is a good fit for Boston. You would think that anyone would be ecstatic to go from worst to first overnight, but maybe Bedard is the kind of guy who doesn’t go for the limelight. Boston is not a place to play if you’re trying to escape the limelight. You would think there’s a lot of pressure on Bedard to perform, but honestly we didn’t give up any impactful prospects for him, and he’s only here for two months. If he doesn’t perform well, we don’t have to offer him a deal at the end of the season. I’d say the person that this move pressures most is Lackey because Bedard and Lackey are competing for a spot in the playoff rotation, and Lackey knows it. Maybe this is exactly the kind of motivation he needed to put himself consistently on the path to pitching glory, or maybe it won’t do much. We’ll see. 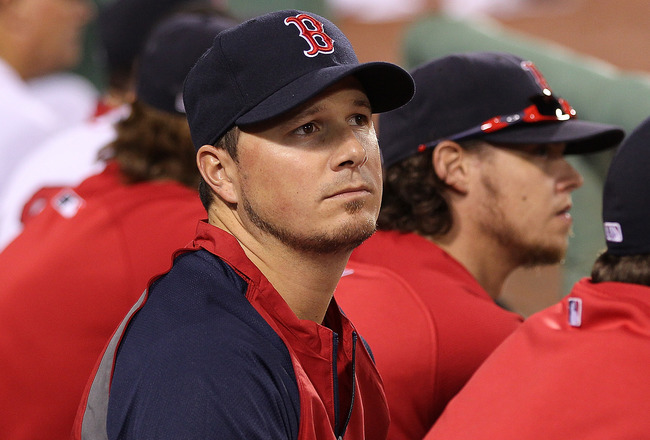 Even so, though, we need Bedard because we’ve likely seen the last of Buchholz for the year. Actually, if you look at their numbers for the 2011 season, many of them are almost identical this year. Buchholz’s ERA is 3.48; Bedard’s is 3.55. Buchholz has given up ten home runs; Bedard, eleven. Buchholz gave up thirty-one walks; Bedard, thirty. The opposition batted .241 against Buchholz; they bat .232 against Bedard. Buchholz has allowed fewer hits and runs, but he also made less starts. Bedard’s WHIP is lower, and his K count is higher. His record is obviously worse, but that doesn’t really count because that’s inevitable when you play for the Mariners, or many other teams that are not us. Bedard did his job. It was his Boston debut and his second start since coming off the DL, so he wasn’t expect to pitch that long. He lasted five innings, gave up three runs on seven hits, walked none, and struck out five. He threw seventy pitches, forty-nine of which were strikes. So he was efficient and on pace to last even longer. He was working with some nasty stuff. It was such a relief not to be on the receiving end of his four-seam, two-seam, and curveball for a change. Those three pitches constituted the overwhelming majority of his repertoire; he threw a combined handful of changeups and cutters but they didn’t do much. I don’t know what happened. I think me and Adrian have to communicate better. I called it, but I didn’t yell very loud, which is not like me, because I’m a loud guy. I’ll yell louder next time. The inning ended with a play at the plate; Crawford to Youk to Tek to get LaPorta. Textbook execution. He allowed his third and final run in the next inning also via three singles; it was his least efficient inning at twenty-four pitches. The fourth was his most efficient at nine pitches; he faced the minimum even threw in two strikeouts. And then his fifth inning was again one-two-three. All five of his strikeouts were put away with fastballs. After he left, things got ugly. The bullpen did not have a good night. It was a completely collective fail. Morales gave up a two-run home run. Aceves finished the sixth and was one of only two relievers who did not allow any runs. (The other was Wheeler; he was the last pitcher to go and only came in to get one out in the ninth.) Miller came in after that and allowed two RBI doubles. Morales took the loss; Bedard had left the game tied at three. Unfortunately, our three runs held for the rest of the game, and we didn’t add any on. In the first, Ellsbury singled, moved to second on a groundout by Pedroia, and scored on a double by Gonzalez, who scored on a single by Papi. And then Reddick hit a solo shot in the fourth on the second pitch of his at-bat, a fastball. He put it in the bullpen. Masterson completely missed his location; the fastball was supposed to be away but it wound up inside. It was the fifth home run for both Reddick and Masterson this year. We enter the series with the Yanks with the best record in the American League and without momentum. The importance of this series can not be understated. Its implications for the division are obvious. I’m tired of looking over my shoulder and constantly seeing them right there in the standings. I want to lose them once and for all. And plus they’re the Yankees, and we just want to beat them epically. That’s pretty much all there is to it. It was epically uncanny how similar last night’s starting pitchers’ performances were. It was uncanny. They were almost identical. Justin Masterson – remember him? – pitched seven and two-thirds innings, gave up two runs on four hits (one of them a homer), walked two, and struck out three. Buchholz pitched seven and a third innings, gave up two runs on four hits (one of them a homer), walked two, and struck out four. Buchholz had both fastballs and his cutter working really well, and he mixed in his changeup and curveball very effectively. He kept the hitters guessing and the lineup in the game all the way through. He went deep into the ballgame, and he did it with efficiency: he only needed ninety-four pitches this time, fifty-five for strikes. Four of his innings were one-two-three, including his last full frame, and he was pulled in the seventh after giving up a single and inducing a groundout. He set a new career high in pitch count his last time out, so there was no way Tito was going to let him stay out there for much longer. To be clear, only one of those two runs was allowed on Buchholz’s watch. He made a bad pitch to Asdrubal Cabrera to open the fourth, and he hit a solo shot. More on that second run soon. By the way, later in the fourth he made a solid defensive play; Travis Buck chopped it back to him, and he just leapt up, caught it, and fired to first for the second out of the inning. In the third, Crawford singled, moved to second on a groundout by Salty, and scored on a single by Pedroia, who batted in his first run since May 2. In the fifth, it was again Crawford who scored, erasing the home run hit by Cabrera with a leadoff solo shot of his own on a slider that ended up in the first few rows of seats in right. It was his first home run in ninety-seven at-bats and his second of the season. The top of the eighth was a pretty eventful half-inning. Salty led it off by flying out. Then Ellsbury chopped one to Matt LaPorta, who fired to Masterson at first. Ellsbury would have been out by a mile, but first base umpire Rob Drake ruled that Masterson missed the bag entirely and that therefore Ellsbury was safe. Tribe manager Manny Acta came out to argue and was ejected. Then Pedroia walked on five pitches, and Gonzalez hit what looked like a fly ball, but it dropped in for a hit. Pedroia rounded second, tripped over second base, fell, and hustled back. He turned his left ankle, which is especially painful for him because of that pin that was put into it when he had surgery in August. He limped off the field and left the game, but it’s not serious. It’s the second time this has happened this season, and fortunately he’s been fine. So I was feeling pretty good. We only had a one-run lead, but Buchholz was on and, thanks to Crawford, one step ahead of Masterson. When he came out of the game, we knew Tito would call for Bard both because it was the eighth inning and that’s Bard’s territory but also because Bard was rested. He was rested because he’d been used a lot lately, and Tito wanted him to be good as new. He was not good as new. He gave up at least one run for the fourth time in his last seven appearances. He came on with only one runner on second. The double play wasn’t an option, but it looked like he would be on pace to exit the inning smoothly when he got Carlos Santana to pop up in an 0-2 count. But then he gave up a single to allow his inherited runner to score (hence the two runs charged to Buchholz), which tied the game. That was bad enough. But he allowed another run when he gave up a double to Asdrubal Cabrera. Then he was replaced by Rich Hill, who recorded a strikeout to end the inning, but not before the Tribe garnered a 3-2 lead. That ended up being the final score. Papi flied out. Drew singled and moved to third on a single by Lowrie. We had runners at the corners with one out, and up comes Crawford. He’s had his fair share of walkoffs, and he’d already collected two hits on the night. So he actually wasn’t a bad guy to have up there. The tying run was ninety feet away, and all Crawford had to do was put the ball in play in any way. What does he do? He grounds into a game-ending double play. Bard took both the blown save and the loss, and deservedly so. Buchholz pitched an absolute gem in which a one-run lead was totally secure, and he has nothing to show for it now because Bard was an epic fail. I feel comfortable in making the claim that, if Buchholz hadn’t thrown so many pitches in his last outing and was able to remain in the game, we’d be looking at a more positive outcome. And we’re talking really positive. A win last night would have put us in first place. Instead, we remain half a game out behind the Rays and Yankees, who are both tied. We could have another chance tonight. In other news, the Bruins again lead the series after winning, 3-1, last night! All I did while watching that game last night was sigh. There was a lot of sighing. Then there was more sighing. Then the game was over and there was more sighing. In fact, I’m still sighing. Unlike the last several days, this was not a good thing. This was not a sigh of relief. This was a sigh of complete and total frustration and bewilderment as to how this team, that is so loaded with individual talent, that spent time cultivating a deep and capable bench out of necessity, that has a healthy staff full of at least two aces, that had a bit of a winning streak going there, that finally activated its center fielder who is finally healthy after a prolonged stay on the disabled list who received an ordinarily galvanizing standing ovation, fully humiliated itself against a team that’s terrible. The Cleveland Indians walked all over us, and we did absolutely nothing to stop it. After a game like Tuesday’s, that shouldn’t have happened. On Tuesday, we had a phenomenal start from a pitcher that’s finally healthy, we had just enough run production, and we had a brawl. It was a tame brawl, but the benches cleared, so technically it was still a brawl. In my experience, that always gives the team a boost. Not this time. And that shows that something is terribly, horribly wrong here. I mean, not only did we lose, but this loss wasn’t even close. The Indians beat us, 1-9. That killed any momentum we had managed to scrape together until that point, and we go to New York this weekend. And it’s not like that’s new. It’s true that we’ve actually done a good job of staving off the slugfests this year, but a loss is a loss. And we’ve had our fair number of those against teams we should have creamed. The season series is currently even with Baltimore, Cleveland, Seattle, and Oakland; we’re four and three against Kansas City. This is not a good situation. Another sigh. Alright. Let’s do this. Lester has generously decided to give us a reenactment of April by losing all four of his starts since the All-Star break, including last night. He’s never been in a slump like this before; this is the first time he’s lost four straight, ever. Technically we shouldn’t count his almost-perfect game, but we have to. It seems criminal to do so, but it was a loss. A strange loss, but a loss. Last night Lester only pitched five innings; he left in the sixth without recording an out. That’s always a bad sign. He gave up four runs, two earned, on seven hits while walking two and striking out four. He threw ninety-nine pitches, fifty-five of which were strikes. His sinker was his best pitch; that’s another bad sign, being that he’s a cut fastball pitcher. He only threw about twenty sinkers. He threw many more ineffective cut fastballs. And none of his other pitches were working. The game started out well; he used eight pitches to get through the first. But he had trouble in the third, when he threw twenty-eight and gave up one of his own unearned runs. The Indians had runners on first and second with nobody out and their ninth hitter up. Marson laid down a bunt. Lester wanted the out at third, but his throw went down the third base line, and Marte ended up scoring from second. That’s a momentum-killer right there. Your pitcher is trying to find a rhythm, he’s got an out in front of him, he can’t make the play and instead he just hands the run to the other team. His other unearned run scored in the fifth when Donald scored, because he got on base when his single bounced off Beltre’s glove. Then there was the solo shot into the Monster in the sixth, and that was the end of the night for Lester. At no point during his outing did he look like he even had anything close to a rhythm going. It was hot and humid, and his legs were cramping; Tito visited the mound twice, once in the fifth and once in the sixth when he lifted him. He’s not injured or anything; it was just hot and he hadn’t slept much, which is a bad combination. Reason being he’s now a father; congratulations to the Lester family on the birth of their son! After Lester left, Atchison came in and allowed five more runs, all of which were unearned. V-Mart made a fielding error, Scutaro made a throwing error, Atchison hung a slider, and there was a five up there by the time the inning was over. That was it for damage on Cleveland’s end. On our end, the damage consisted of one run. Papi hit a homer in the sixth which brings his hitting streak to thirteen games. We had to suffer loss number two at the hands of Justin Masterson. That’s cruel. Lester’s next start is on Monday at Yankee Stadium. At this point I can’t overstate how must-win every single game is from now on. Especially after last night. For every game we lose, every other game becomes that much more important. As of now, I refuse to throw this season away. It’s not over yet. But let’s just say we need to start winning immediately. Ladies and gentlemen, we have our must-win! Of course tonight is also a must-win, but one game at a time. Last night’s game was certainly eventful, so let’s get to it. First of all, let me just say that it was great. That was just a fun game to watch. It was certainly eventful. Beckett owned. He absolutely just owned the Cleveland Indians right from the start. This is the Josh Beckett we’ve been waiting for. I knew all that time on the DL would be worth it if only we could wait it out. And we did. And we got our ace back. He tossed a full eight innings for the first time this year. He gave up only one run on only three hits; he made a mistake on a sinker with the count 2-0 that resulted in a home run. Ironically, it was hit by Marson who was called up to replace Santana after his collision with Kalish. He walked nobody. He struck out eight. He threw 103 pitches. So he was efficient, he was effective, and he was aggressive. LaPorta singled in the fourth, and in revenge he retired his last fourteen batters. Who does that? It’s like he just decided he was annoyed that Cleveland picked up a single, so he turned it on even more. That right there is Josh Beckett. He had that fastball firing on all cylinders, and the fact that his two-seam is so good makes him formidable against lefties too. His cutter was excellent. His curveball was good. His changeup didn’t start out so great, but it improved throughout the game. He threw at most sixteen pitches in one inning twice: once in the first and once in the eighth. In the seventh, he only threw nine pitches. And his strike zone was beautiful. He had a pitcher’s usual sprinkling of balls off to the sides, but I’m telling you it was packed. Sixty-four of his pitches were strikes, nine of which were looking. He picked up a very well-deserved win. It’s unclear whether Tito would have brought him back out to pitch the ninth. I don’t think so. Either way, it’s a moot point. Beckett hit both Duncan and Choo, Duncan in the first on the arm and Choo in the third on the knee. Then Germano retaliated and hit Papi in the seventh; Lewis joined in and hit Beltre in the eighth. Then Beltre started walking to the mound; Marson and the umpire stopped him. Then the benches cleared. Then Beckett had words with Duncan, Tito had words with the umpires, and John Farrell and then Tito had words with the Indians third base coach. There was pushing and shoving, but no punches were thrown. As bench-clearings go, that one was pretty tame. Lewis and Beckett was ejected. I’m telling you, Beckett was really steamed. Choo has good numbers against Beckett; I think after he hit Duncan, they all thought he hit Choo on purpose. But I don’t think so. Beckett is not and has never been that kind of player. Beckett doesn’t usually give direct responses to these things, but V-Mart confirmed that they were just trying to pitch inside, and Beckett simply pitched too inside. And I believe that because V-Mart was set up inside both times. It wasn’t like V-Mart called for something and had one setup and Beckett completely disregarded it and went out of his way to hit someone on purpose. No; he was pitching inside, the ball got away, and that was it. Meanwhile, on the first pitch of his first at-bat off the DL, Lowell had hit a two-run homer in the second into the Monster seats. This was his first game since June 14 and his first home run since June 11. And he set that ball on fire. But he wasn’t finished. Just so that nobody could say he can hit but not field, he started at first and in the fifth made a diving catch and then dove the other way to the bag for the out. That right there is what makes the Lowell situation complicated. He’s got a lot left in him. He can still hit, and apparently he can still field. Of course, we already have a DH who’s finally back to form. But Lowell can still hit. That pretty much proves it. For Lowell, that was a fantastic moment. Hall padded the lead with a homer in the fourth, also into the Monster seat. That was it for both sides; the final score was 3-1; Paps saved it. 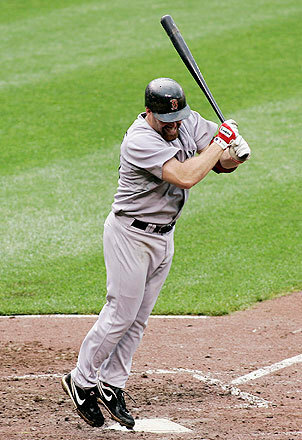 Youk, by the way, is officially on the disabled list now. That means we have fourteen guys on the disabled list. Fourteen! That’s absurd! That’s an entire starting lineup plus a few on the bench! We’ll power through it. That’s what we’ve been doing. We have a healthy staff, and with a little help from the B team, we’ll be alright. Speaking of which, Ellsbury will be activated today. So there’s that. Okay. So. As I said, now that we picked up last night’s must-win, it’s time to pick up tonight’s must-win. This one features a matchup between Lester and Masterson, so you know it’s going to be interesting. Hopefully Lester will be his old self again tonight. We need to get rolling because we all know where we’re going this weekend. We need to head down there with some momentum. But we’re getting ahead of ourselves. Seriously, we just need to take the whole rest of the season one game at a time. Starting with tonight. Just like we did last night. Win this one, think about Thursday night. Here we go. If Justin Masterson sought revenge, he found it. Yes, sir; he found it. The final score was 11-0 and most definitely not in our favor. 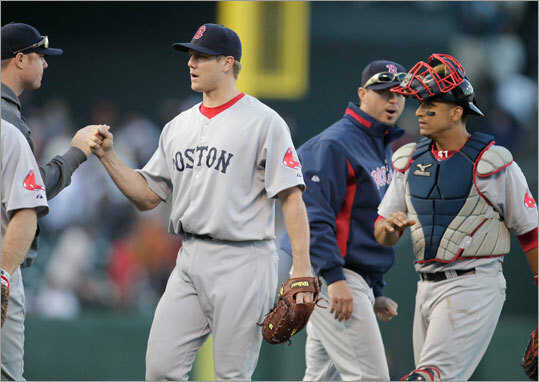 Masterson, in a complete role reversal with Buchholz, pitched a two-hit, complete game shutout. How’s that for revenge. Trust me, though; that’s not the norm for him. Theo got the better end of the deal in that trade. He sure was nasty on the mound last night, but I think that has a whole lot to do with the fact that he played with this team and knows the core of this lineup very well. Naturally he’ll pitch well against us. But that wasn’t the norm for him. This was just one game. In this one game, he may have maintained velocity throughout, practiced speed and location variation, thrown sliders under the hands, handled the lefties, and turned on his sinker and two-seam. But he by no means does any of that routinely. He’s two and twelve since the trade. He’s two and five on the season with a 4.74 ERA (lowered by last night’s performance from five and change), slightly higher than the league average and nowhere near the league leader. His WHIP is 1.64. Meanwhile, V-Mart is two points shy of batting .300, slightly lower than the league leader, with eight homers, twenty-nine runs, and thirty RBIs. We may have lost last night, but I call that a good trade. As far as the loss itself is concerned, you may think from the score that Buchholz had a complete fail. That wasn’t the case. Buchholz did not by any means have a complete fail. Buchholz was mediocre – he had command issues early in the game – but he still, as a very good pitcher is wont to do, pitched well enough on his off night to win under other circumstances, like when the offense is actually productive. He pitched seven innings, gave up three runs on three hits, walked four, and struck out one but took the loss. He fired 109 pitches, twenty-seven of which came in the first. He settled down after that, needing only seven pitches for the second, following that with ten to twenty pitches in each of his next four frames, and finishing with a game low of six in the seventh. In his first four innings, only his fastball was working for strikes; he’d throw an offspeed but it would be down, the batter wouldn’t chase, and he’d have to go back to his fastball. Seeing that his offspeed stuff just wasn’t happening, he relied on his fastball more and more, started missing location, and then came the walks. He said after the game that, had he not walked anyone, the game might still be going on. He’s probably right. So his outing was unusual for him in that he spent the night as a fastball pitcher. He did top out at ninety-five miles per hour, but his usual speed variation just wasn’t there. He used roughly all parts of the strike zone when he did throw strikes, and he used all parts of the strike zone boundaries when he threw balls. So last night was definitely not his best work, but if that’s what an off night for him looks like, I’ll most definitely take it. That would be a pitcher’s best night on some other teams. We just have higher standards in Boston. But my point is that he wasn’t the one who dropped the ball. The bullpen did. Bonser gave up four runs on two hits and two walks without recording an out. Nelson gave up a grand slam; four runs on five hits, three walks, and one swing. Eight runs in a single inning. It was awful. I absolutely can not stand bullpen meltdowns. If a starter melts down, it’s his own mess and his own responsibility. If a bullpen melts down, it takes everything the starter and the offense has put together and squanders it. It’s like taking something someone has worked on really hard and just throwing it away when they were counting on you to protect it. Think about it. The game could have been a respectable 3-0 loss. But no. For Bonser, that wasn’t the first step he wanted to take on his road back to the Majors after shoulder surgery. He says his shoulder felt fine; he was just “over-amped.” Whatever it was, he was terrible. The offense. This is going to be easy. Too easy. V-Mart singled. Drew singled. Youk walked. Hermida, in his return to the lineup, walked. Done. Nobody got past first base. Also, some unfortunate slump updates. So far Pedroia is 0 for 11 in the series, and he’s 17 for 101, an average of .168, in his last twenty-five games. Papi is 1 for his last 23. Neither one of these slumps is cause for concern. Both are too good to remain in them long; that’s been proven. Delcarmen is feeling better and ready to go. Papelbon will remain unavailable until at least tomorrow. Yesterday, the organization unveiled a bronze statue of The Teammates a few yards from the statue of Ted Williams. The statue, sculpted by Antonio Tobias Mendez, is based on David Halberstam’s book of that title about the road trip that Johnny Pesky, Bobby Doerr, and Dom DiMaggio took to visit Williams on his deathbed. This is a great tribute to lifelong friendship between these guys but also to the Red Sox organization, an organization that breeds such friendship between all its players. Nicely done. It was good to see an old friend, but it wasn’t good to lose to an old friend. Especially, as I said, via the infamous bullpen implosion. That was not supposed to be part of the plan. However, as always, we’ll bounce back. Tonight we have Lester at Talbot to finish off this series and hopefully win it rather than split it, and on Friday we return to Interleague for series with the Phillies, D-Backs, Dodgers, Rockies, and Giants. That’s plenty of games against National League teams, so plenty of opportunities for wins. I’ll be taking a break of about ten days. We’re in a great place right now. Who knows? In ten days, we could find ourselves in first place!